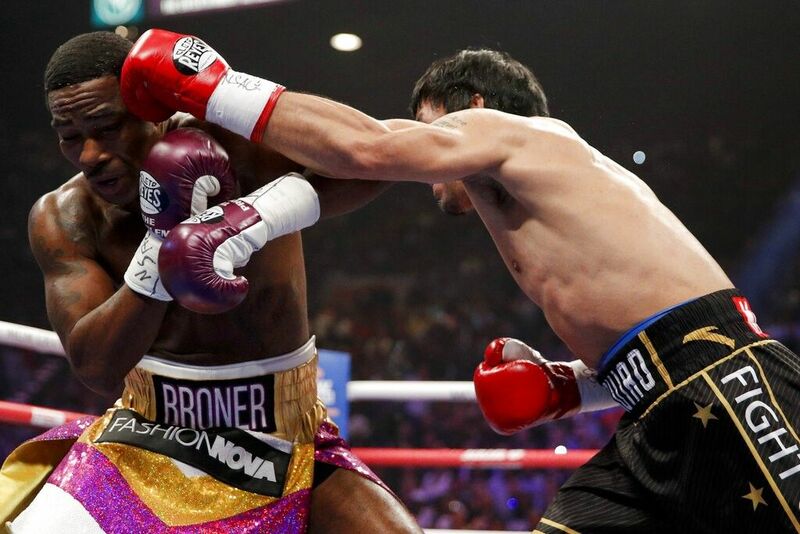 MANILA, Philippines -- Adrien Broner wasn't nearly as interesting throughout his 12-round bout with Manny Pacquiao than he was during the post fight interview. "I beat him. Everybody out there knows I beat him. I controlled the fight, he was missing. I hit him clean more times. I beat him," He said shortly after the decision was announced. Broner's statement came with boos in the crowd — a reaction that he received repeatedly throughout the fight. The 29-year-old even made a scene after the bell in the 12th round, jumping on the ropes to face the crowd and claim victory. His antics and refusal of defeat came after a dominant performance by Pacquiao. Based on the numbers, Broner only made half of the punches his opponent landed and was forced to stay on the defensive through all 12 rounds. The crowd's reaction to Broner's post fight shennanigans echoed outside the arena with boxing fans mocking the American boxer with unending memes and jokes. Was Adrien Broner robbed? What did you think of his reaction after the bout?